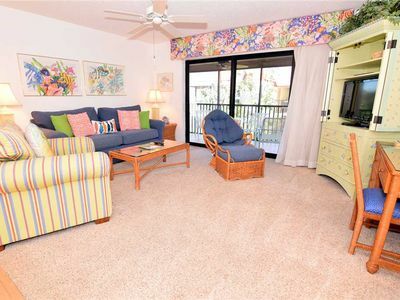 Enjoy Fun in the Sun with this redecorated condo with a Florida tropical theme! 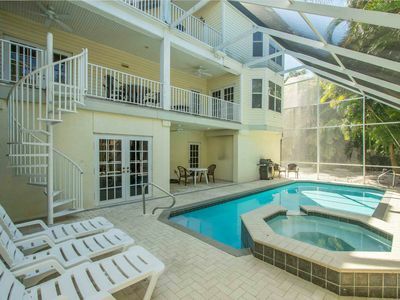 Just steps to the beach and swimming pool. 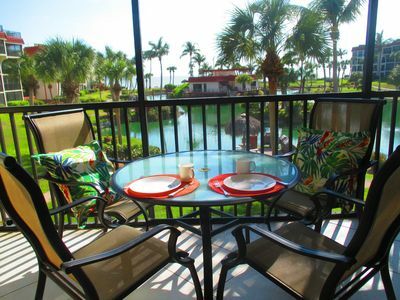 Large screened lanai overlooks the beautifully landscaped Lagoon, Pool and partial Gulf view. 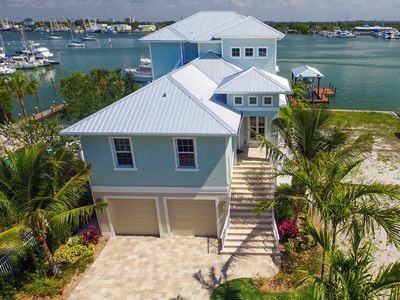 Park your car in your own private garage which contains beach chairs, beach umbrella and beach toys. Beach towels are available for rent or purchase from our on-site office. 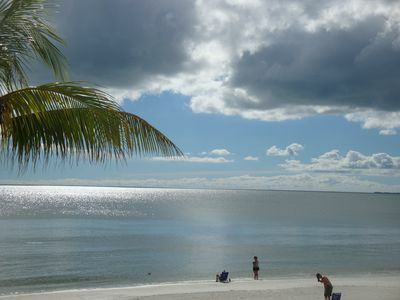 Rent a bike or walk around the 15 miles of paved paths that make Sanibel so charming! 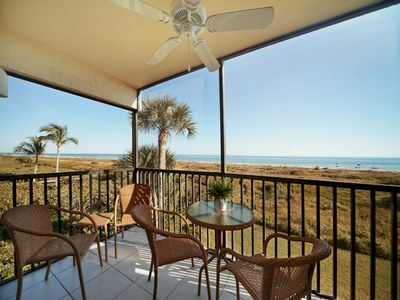 Discover what Sanibel has to offer from the Lighthouse on the East Enjoy ?Fun in the Sun? 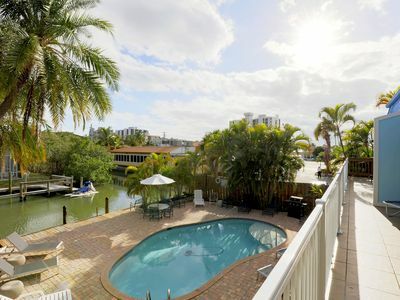 with this redecorated condo with a Florida tropical theme! Just steps to the beach and swimming pool. 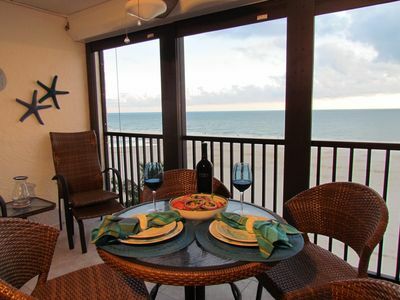 Large screened lanai overlooks the beautifully landscaped Lagoon, Pool and partial Gulf view. Park your car in your own private garage which contains beach chairs, beach umbrella and beach toys. Beach towels are available for rent or purchase from our on-site office. 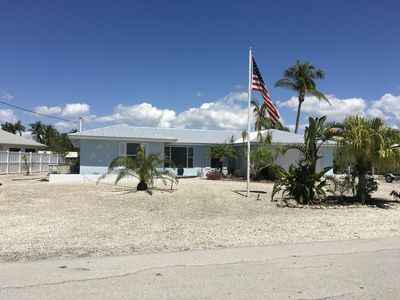 Rent a bike or walk around the 15 miles of paved paths that make Sanibel so charming! 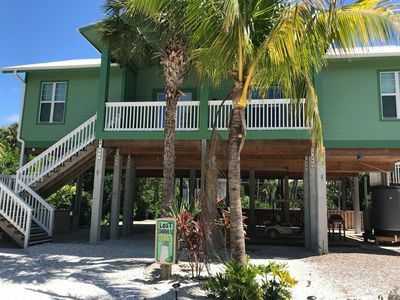 Discover what Sanibel has to offer from the Lighthouse on the East end to Captiva on the West with shopping and restaurants in between?or just walk for miles along the beach! You will never run out of things to do. You are also an easy walk along the beach to nearby beachfront bars and restaurants where you can enjoy the view with a drink or leisurely meal. 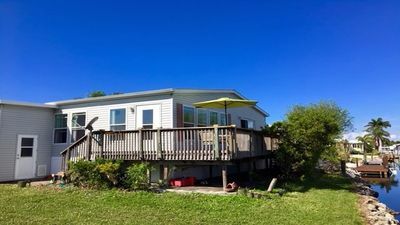 This spacious 2 bed/2 bath non-smoking unit features all the comforts of home. The master suite has a king bed and a newly opened (200 sq ft) bonus space featuring an office desk and a tropical view of the lagoon. The guest room has twin beds but can be made into a king upon request. The large and bright living/dining room leads to a large screened lanai. 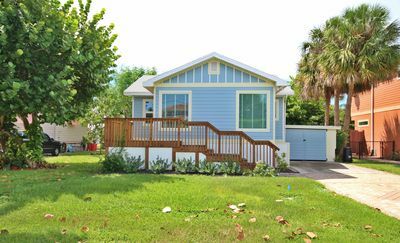 The fully equipped kitchen has granite counters, smooth-top stove and ice-maker in freezer...everything you need for a home away from home. Other amenities include ceiling fans, central air, 3 satellite flat-screen TVs, queen-size sleeper sofa, linens, and a starter pack of soaps, paper products and coffee. 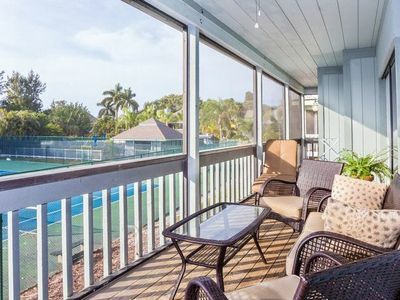 Sanibel Siesta offers tennis courts, heated pool, WiFi, bike rentals, shuffleboard, gas grills, laundry facilities and elevators?all in a lush tropical setting with amazing sunsets! Our wonderful on-site staff is available to answer questions and help in emergencies. We would be delighted to have you as our guest! Max occupancy is 6 including children and infants. NO PETS. 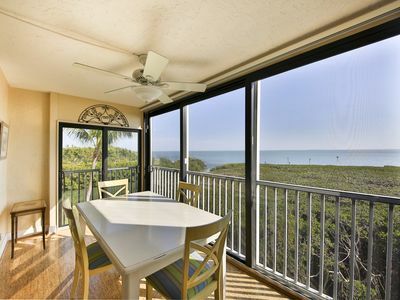 end to Captiva on the West with shopping and restaurants in between...or just walk for miles along the beach! You will never run out of things to do. 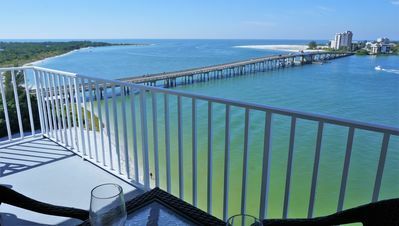 You are also an easy walk along the beach to nearby beachfront bars and restaurants where you can enjoy the view with a drink or leisurely meal. 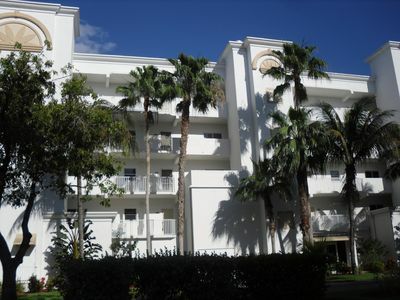 This spacious 2 bed/2 bath non-smoking unit features all the comforts of home. The master suite has a king bed and a newly opened (200 sq ft) bonus space featuring an office desk and a tropical view of the lagoon. The guest room has twin beds but can be made into a king upon request. 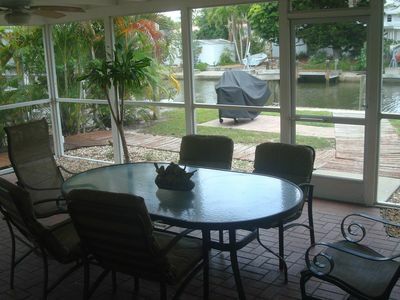 The large and bright living/dining room leads to a large screened lanai. The fully equipped kitchen has granite counters, smooth-top stove and ice-maker in freezer, everything you need for a home away from home. 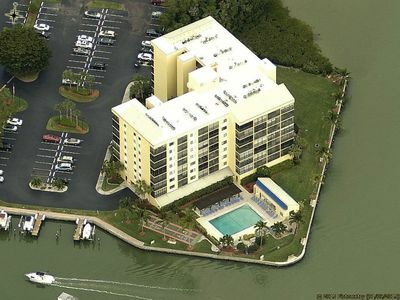 Other amenities include ceiling fans, central air, 3 satellite flat-screen TVs, queen-size sleeper sofa, linens, and a starter pack of soaps, paper products and coffee. In the guest bedroom closet, you'll find a baby stroller and fold-out bed for little ones. 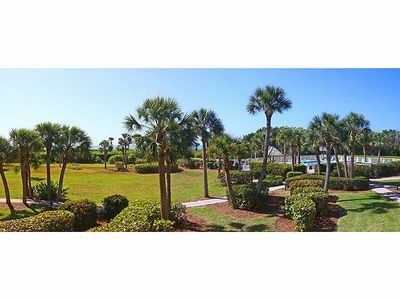 Siesta offers tennis courts, heated pool, WiFi, bike rentals, shuffleboard, gas grills, laundry facilities and elevators, all in a lush tropical setting with amazing sunsets! Our wonderful on-site staff is available to answer questions and help in emergencies. We would be delighted to have you as our guest! Max occupancy is 6 including children and infants. NO PETS.